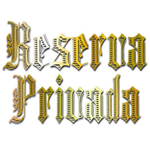 Reserva Privada - Purple OG 18. Free US delivery. Purple OG #18 is a combination of the 3 time Cannabis Cup champion The OG #18 and one of DNA's best selling strains, Purple Wreck. The Purple OG #18 is the only Purple available in seed form that actually gets you high and keeps you there... With the strength of the OG #18 and the yield of the Purple Wreck. The end result is a grapey and fuely tasting flower that does not stretch as much as the Kushes do. The complex terpine profile leaves you searching for more.